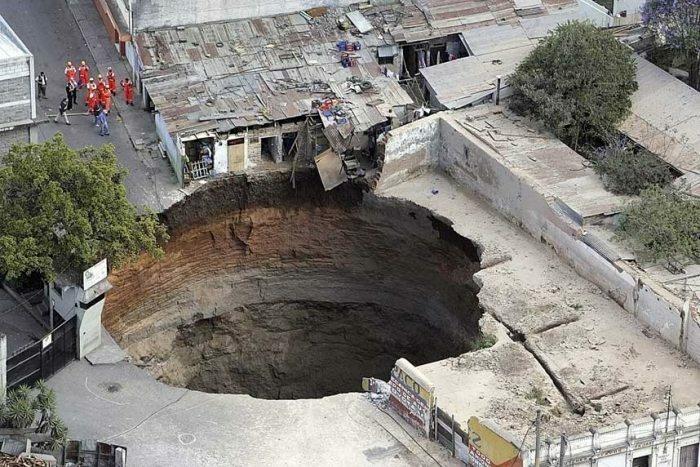 Sinkhole come in many names and shapes: snake hole, swallow hole, swallet, or doline are the typical names you’ll find them by. They are natural depressions (or holes) in the surface of the Earth’s surface, (usually) caused by karst processes. Karst processes occur when the bedrocks are soluble – in other words, in 99% of all cases, in carbonate rocks (like limestone or dolomite) or evaporitic rocks (like gypsum or anhydrite). So while they can occur in other environments. A sinkhole has no natural external surface drainage – when it rains, all the water stays inside the sinkhole and typically drains into the subsurface. This is the dominant phenomena regardless of size – it can be smaller than a meter, or over 100 meters in depth (In Sarisarinama, Venezuela, multiple sinkholes have reached about 1,000 feet wide and 1,150 feet deep). They can also have very different shapes; some are just like a shallow saucer or bowl, while others are much more vertical. Some actually form water, and you’ve probably seens this in the form of little ponds in limestone. What really makes them dangerous is the fact that they’re really unpredictable. 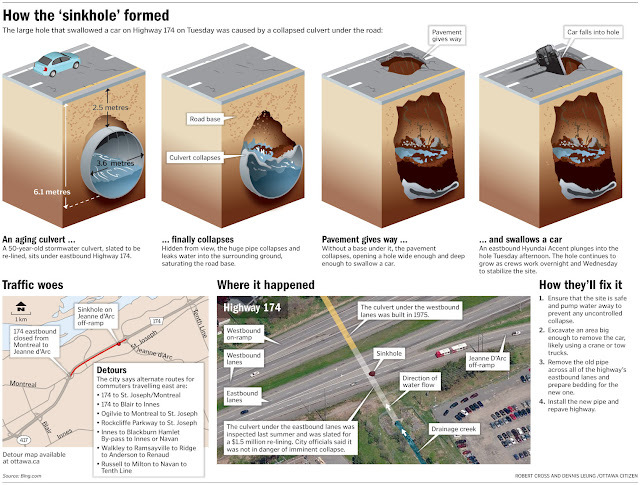 They form so slowly, that without thorough geological or geophysical research, you can’t really tell if something’s changing – this is why collapses have dramatic, unexpected effects, especially in urban settings. Underwater sinkholes can form too. They’re typically called blue holes, and have been described especially in the Bahamas area. The name originates from the deep blue color of water in these sinkholes, which in turn is created by the high lucidity of water and the great depth of sinkholes; only the deep blue color of the visible spectrum can penetrate such depth and return back after reflection. 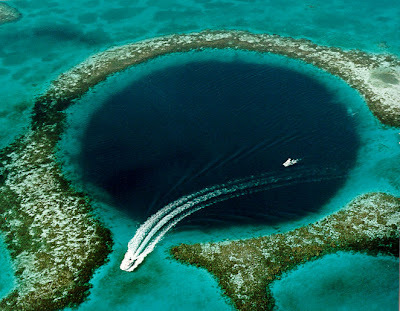 The deepest known sinkhole is the Dean’s Blue Hole in the Bahamas.